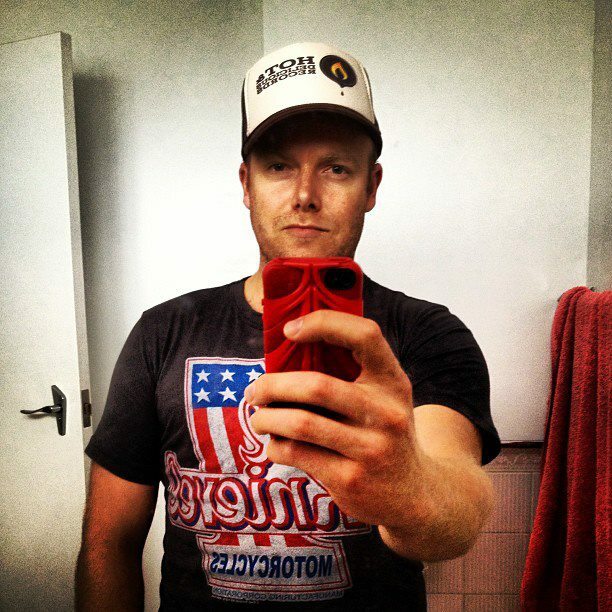 Mat McHugh « Hot & Delicious: Rocks The Planet! Sue-Anne Stewart – ‘Love Gets Sweeter’. Ignites candy in your heels & a song in your heart..
Every now & then you hear a sweet summer jam that ignites candy in your heels & a song in your heart.. this is one of those jams.. I stumbled across Sue-Anne Stewart’s ‘Love Gets Sweeter’ in March at The Aussie BBQ – LA on the gem of a CD sampler I picked up from Footstomp Music (Busby Marou, The Medics). Quite swiftly, along with Thelma Plum‘s ‘Around Here’, Ginger & The Ghost‘s ‘Where Wolf’ and more, Sue-Anne’s ‘Love Gets Sweeter’ formed part of the soundtrack and sweet vibe that was to be my Hot & Delicious: SXSW & LA. Roadtrip USA experience. Her smooth, clear vocals, light guitars and beautiful, melodic keys are rather reminiscent of Sheryl Crow and the track is the first single just released off Sue-Anne’s upcoming album produced by Anthony Lycenko (Pete Murray, Busby Marou). Sue-Anne Stewart has shared the stage with the likes of Ash Grunwald, Lanie Lane and Mat McHugh (The Beautiful Girls), toured Australia, Europe and Canada (incl. Calgary Stampede, Woodford Folk Festival) and launches ‘Love Gets Sweeter’ next Friday May 10th at the Footstomp Music showcase Our Band Could Be Your Life #2 – The Roots Edition at The Tempo Hotel in Brisbane’s iconic Fortitude Valley. This entry was posted in Music and tagged Anthony Lycenko, Ash Grunwald, Busby Marou, Calgary Stampede, Folk, Footstomp Music, Fortitude Valley, Ginger & The Ghost, Ginger and the Ghost, Hot & Delicious, Lanie Lane, Love Gets Sweeter, Mat McHugh, Our Band Could Be Your Life, Pete Murray, Sheryl Crow, South-By-South-West, Sue-Anne Stewart, SXSW, The Aussie BBQ, The Beautiful Girls, Thelma Plum, Woodford Folk Festival. 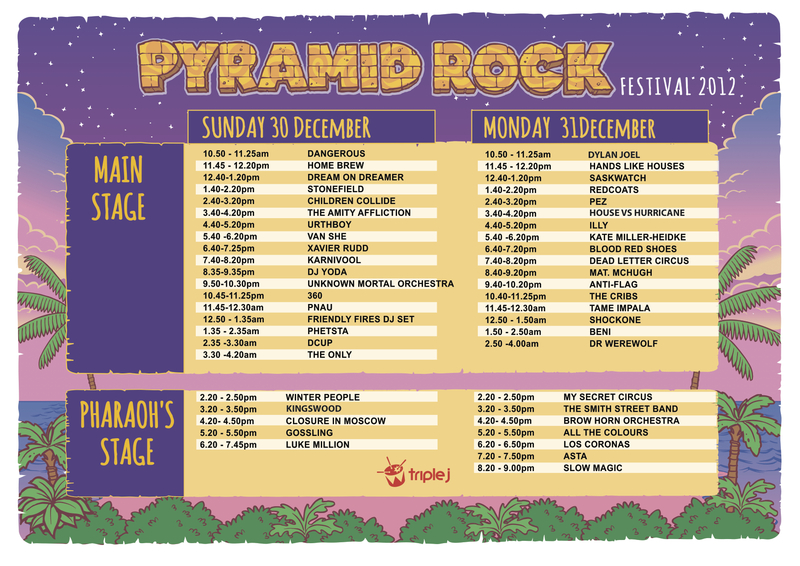 #PyramidRock Playing Times Announced – Tame Impala Bring in the New Year! Tame Impala bring in the New Year at Pyramid Rock! With NYE just around the corner, Pyramid Rock Festival has announced its playing times. With this year’s bill boasting the long-awaited return to Australia for The Cribs, a first time visit by Blood Red Shoes, a headline performance by Perth heroes Tame Impala, a swag of early morning bass by Shockone and Beni and mountains of rock throughout the day lead by Stonefield and Children Collide, there’s a lot to look forward to. This entry was posted in Music and tagged #PyramidRock, 360, Dead Letter Circus, Illy, Karnivool, Mat McHugh, New Years, New Years Eve, PNAU, Pyramid Festival, Pyramid Rock, Pyramid Rock Festival, Tame Impala, The Cribs, triple j.